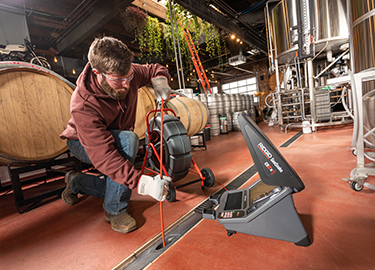 The industry's best inspection camera just got better. Introducing SeeSnake® cameras with TruSense technology that bring powerful data capability to plumbing diagnostics. TruSense establishes a two-way datalink path between the camera head and a connected SeeSnake CSx series Wi-Fi enabled monitor. 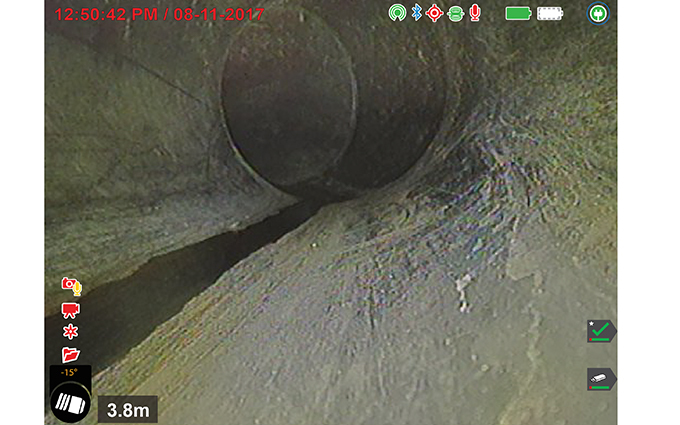 With TruSense, advanced sensors on the camera head convey valuable information about the in-pipe environment. SeeSnake TruSense cameras include a HDR image sensor. 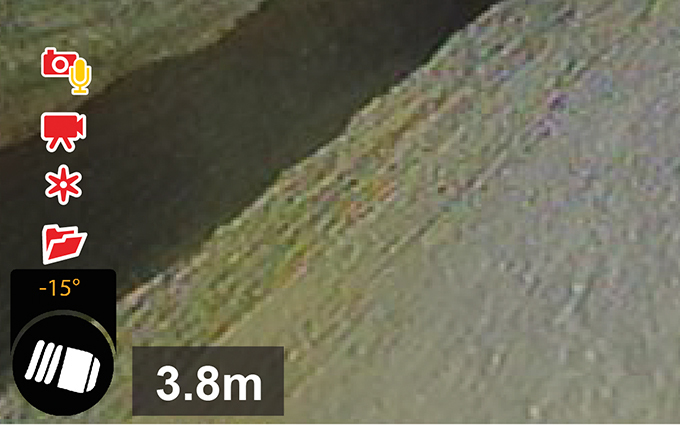 A common challenge is being able to see far down the pipe as well as the image right in front of the camera's lights. An HDR image sensor expands the camera's dynamic range.This means fewer blown-out areas and sections of the pipe that are too dark to see, offering superior clarity and detail. TiltSense is an on-camera inclinometer that is included on SeeSnake TruSense cameras. The camera will convey the camera's degree of tilt on the monitor display – giving you a useful indicator of the pitch of the pipe. The icon on the monitor changes color based on negative pitches (brown) and positive pitches (blue). RIDGID SeeSnake cameras with TruSense technology will continue to lead the industry for years to come. 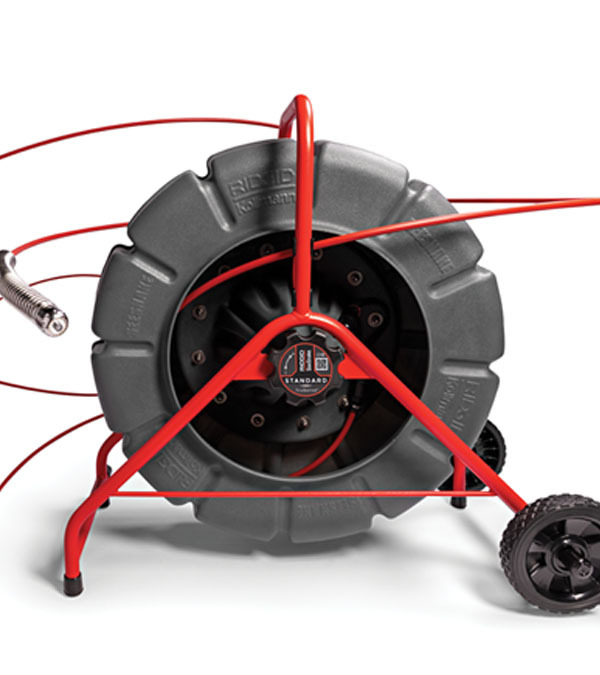 This new data connection will allow for future software upgrades to your reels. The future is bright. 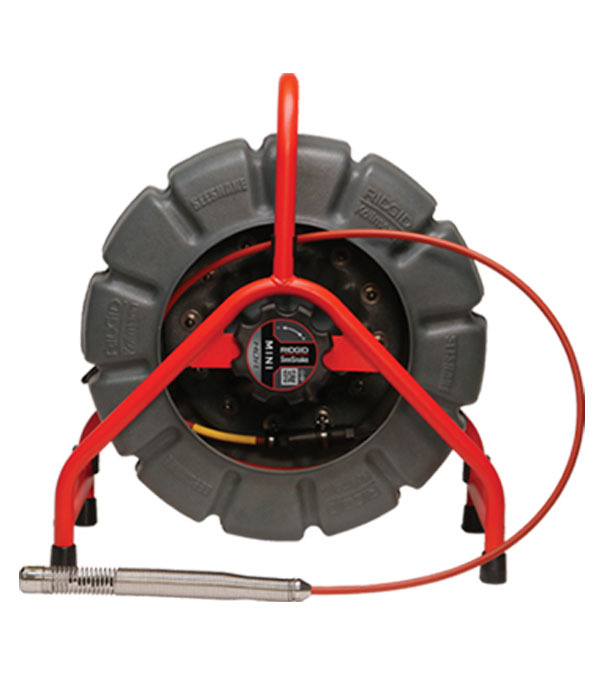 Equipped with the largest diameter SeeSnake camera head, the Standard is your go-to machine for inspecting long runs in main sewer laterals. Available TruSense technology provides a high dynamic range (HDR) image sensor and two-way communication link between the camera head and SeeSnake CSx series Wi-Fi enabled monitors. 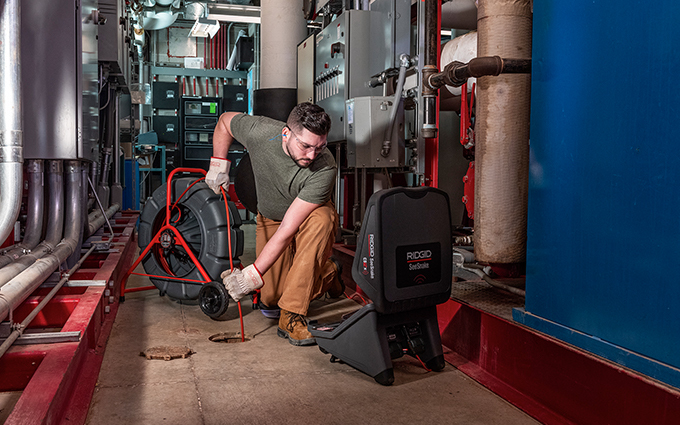 A smaller version of the iconic RIDGID SeeSnake Standard system, the RIDGID SeeSnake Mini comes equipped with TruSense technology featuring TiltSense and HDR image sensor. The Mini features a moderately stiff push cable that strikes a good balance between inspecting long runs and navigating tight turns.